By listening carefully and designing smart ways to incorporate existing structures and features, SRA has helped the University maximise its potential. We have worked flexibly to deliver modular projects to fit with phased funding. The older buildings at the University’s central precinct need frequent updates – such as this entire top floor refurbishment. One of our challenges was minimising disruption to learning, so we worked quickly to address major roof problems before beginning the interior. During this project SRA also redesigned over 2,000 sqm of laboratory suites, bringing them up to the world-class standards the University sets itself. On a rural site outside Bristol, the School slowly developed over 50 years, accumulating problems with security, parking and public access. 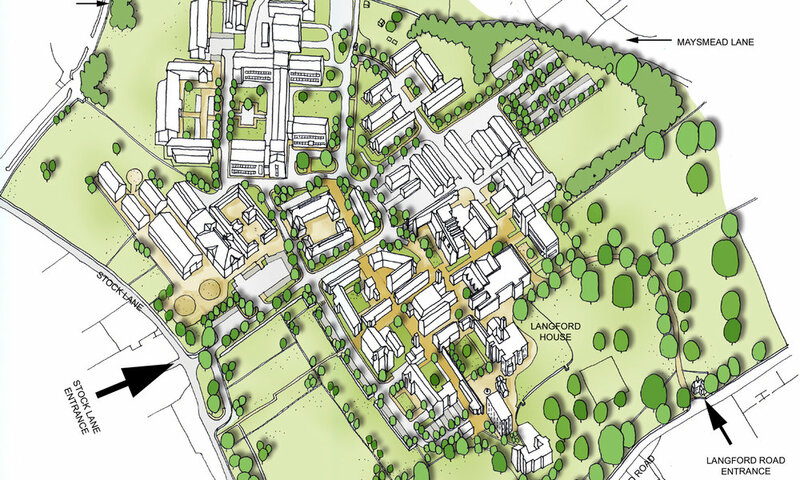 SRA’s campus masterplan resolved every major issue without requiring major investment. We showed how the site could adapt to future growth, while retaining the rural character and architectural heritage vital to local planners. Doing their bit for the community, the Veterinary School decided to offer support for small pets. We listened carefully to what they really wanted – somewhere that would present the right image, and where the public would feel at ease. The simple barn design is reminiscent of nearby farm buildings. This building achieved BREEAM rating ‘Very Good’. The Veterinary School needed several Category 2 labs (from radiobiology to pathology). This required a strip-out and internal demolition of the existing research facility and an interior replan to enhance the user experience. With the ever-present risk of disease, each lab needed state-of-the-art ventilation systems. Our re-design even allowed for on going expansion as more funds become available.